There are numerous eateries dotting the road from the Kanya Kumari railway station to the beach. 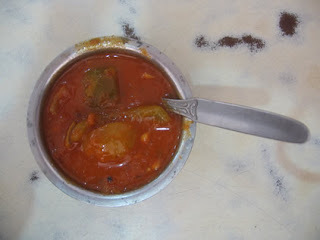 Most of the eateries serve South Indian dishes. Some claim to serve Tandoori roti, naan etc. But once you are seated in the restarurat they will tell you that Tandoori items are not being served that day. 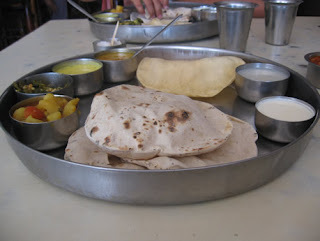 We had normal meals at Hotel Triveni. Not bad.